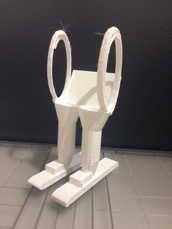 In early Spring 2018, ISB got its first 3D printer, a Lulzbot Taz 6, otherwise known as “Taz.” Soon after, Middle School design teacher Pat Hough collaborated with science teachers Alicia Smith and Kimesha Reid-Grant to create projects that connect science and technology through design. Science and technology merge in the pursuit of knowledge and in finding solutions to problems that require scientific understanding and product design. Solving technological problems demands scientific knowledge, while modern technologies make it possible to create new STEM learning opportunities and experiences. It ties into the PYP and MYP concepts of Connection, Development, and Creativity. Alicia and Pat worked in collaboration with 3rd Graders to create playground equipment as part of their unit of inquiry on Simple Machines. 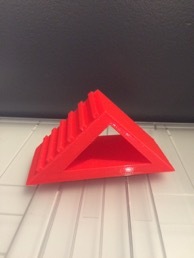 The students used TinkerCad, an online 3D drawing program with computer-aided design. 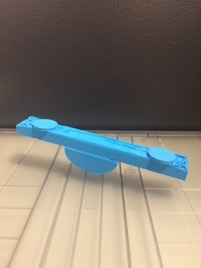 Each student constructed a model of either a slide or a seesaw, and they were thrilled to watch the printer at work. Next up was another collaboration with Alicia, and the 7th Grade for their Force and Motion unit. To begin the project, students went on a class field trip to the Cooper Hewitt Design Museum to view an exhibit on universal access. 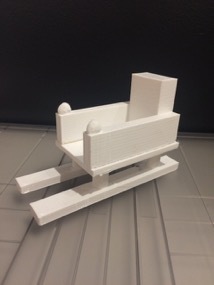 Back at ISB, the students worked in pairs using Tinkercad to create models of sports equipment designed for paraplegic athletes, taking inspiration from the exhibit. Models included accessible skis, hockey skates, and a wheelchair designed for disabled soccer players. 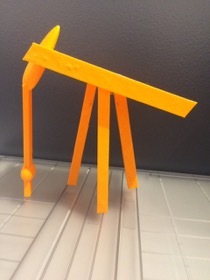 In late spring, 6th Graders used the 3D printers to tie into their unit on energy in Science class. The students worked in pairs to design models for sources of electricity generation such as wind turbines, solar panels and hydroelectric stations. “Taz” is back up and running for exciting new student projects this fall. Feel free to stop by the Technology Office, located in the Learning Commons, to see the machine at work!